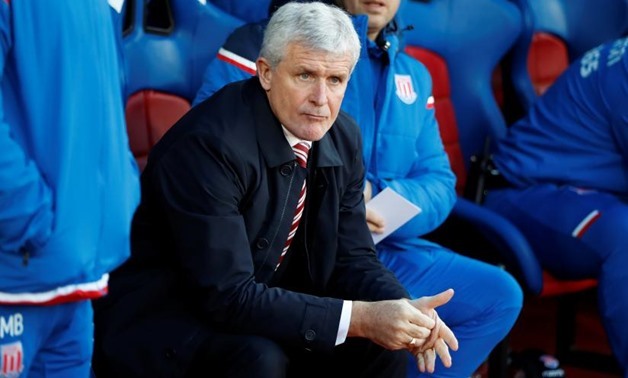 Southampton manager Mark Hughes has questioned some of his players' bravery after they threw away a two-goal lead by conceding three goals in nine second-half minutes against Chelsea on Saturday. With other results going against them at the weekend, Southampton are in real danger of losing their five-year Premier League status. "Clearly I am getting to understand who are the guys that are going to help us and who are not willing to put their bodies on the line," Hughes told British media. Hughes, who took over from Mauricio Pellegrino in March, said his side have to learn to break the game up when the rivals are on the front foot. "The top teams do it — Manchester City do it, Chelsea do it — just to be able to stop the game and give yourself time to regroup. We are probably a little bit too honest in that regard." Southampton, in 18th spot, five points from safety with five games remaining, face Leicester City on Thursday. They meet Chelsea again in the FA Cup semi-finals on Sunday.